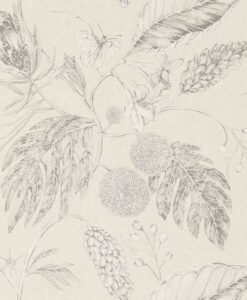 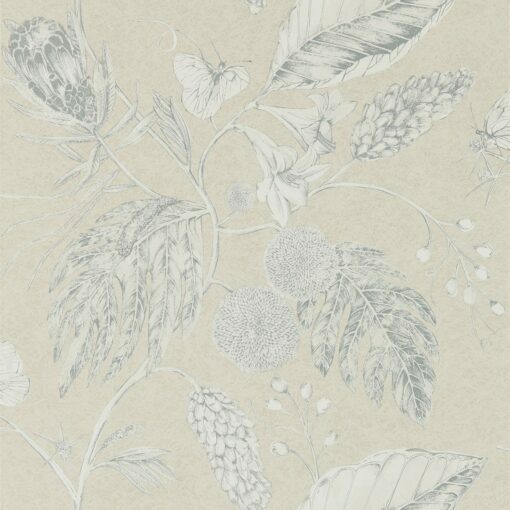 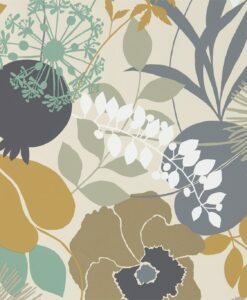 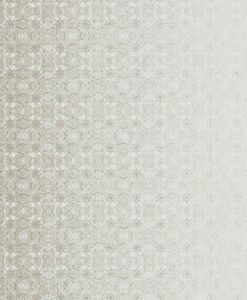 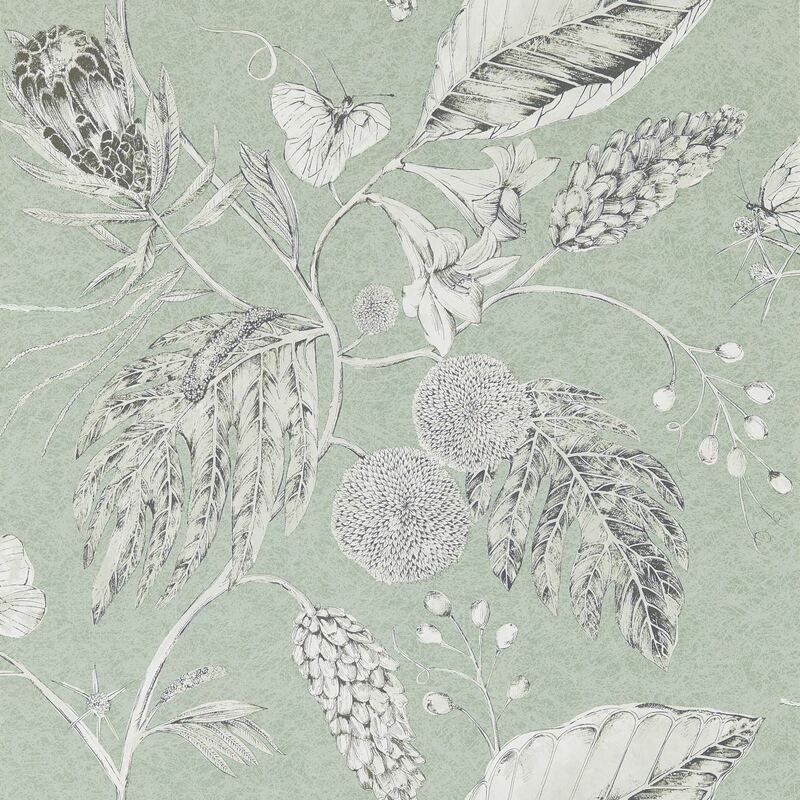 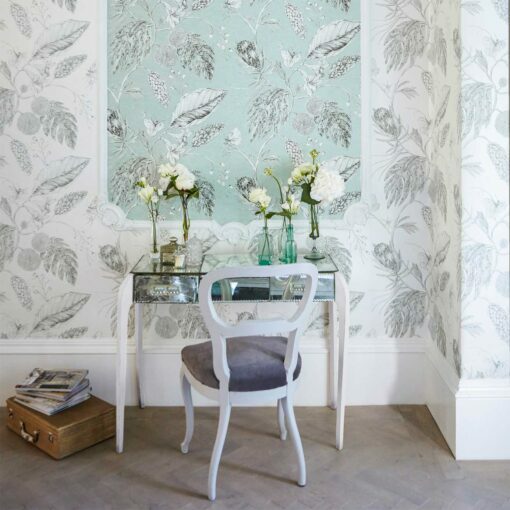 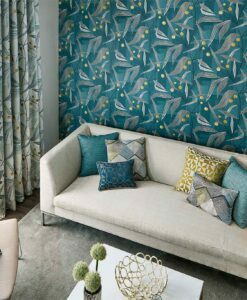 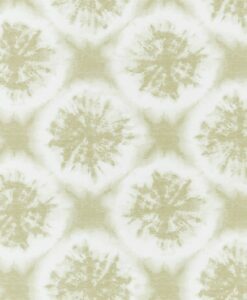 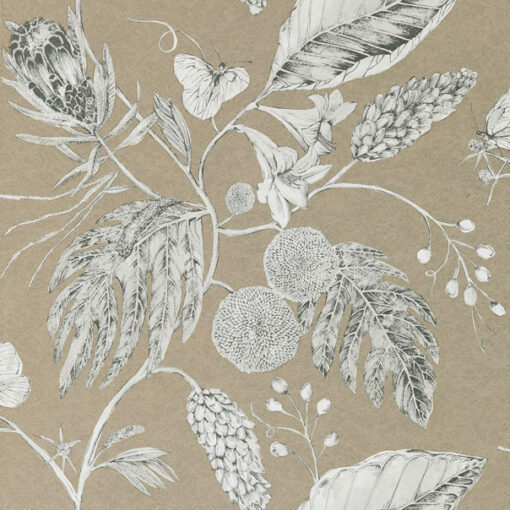 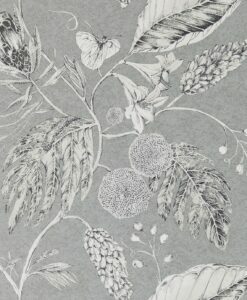 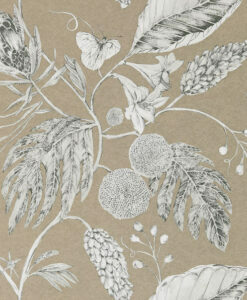 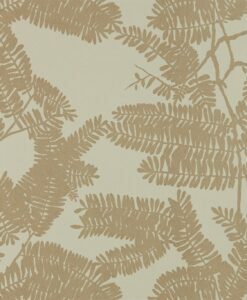 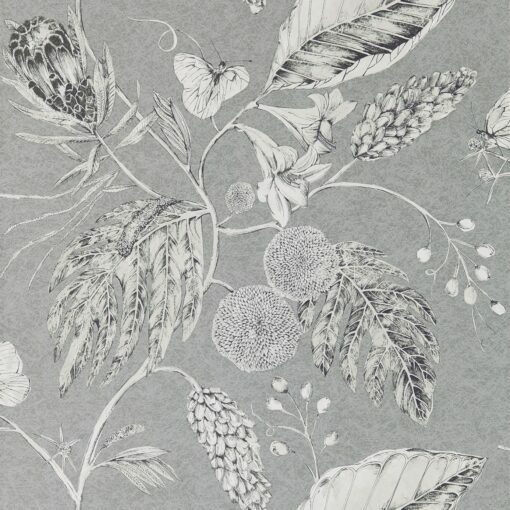 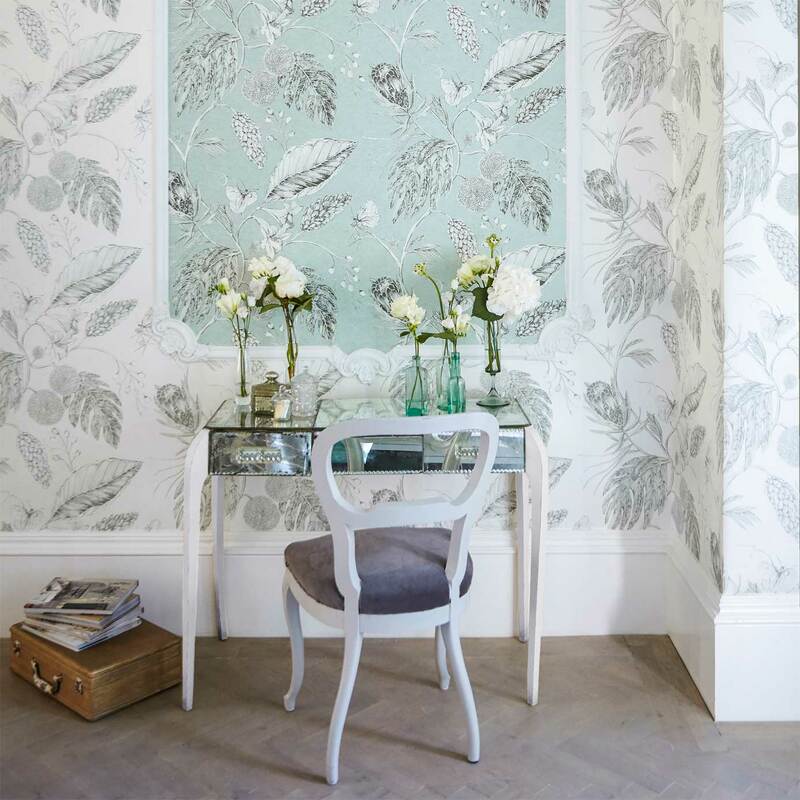 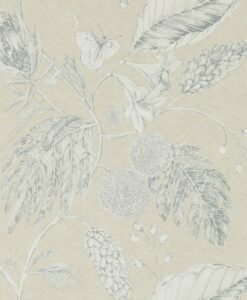 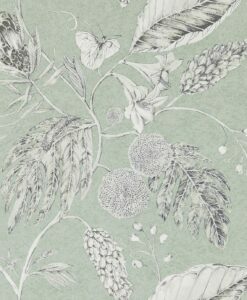 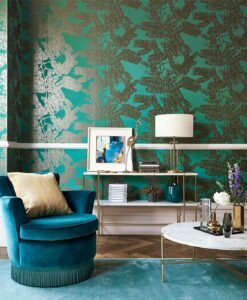 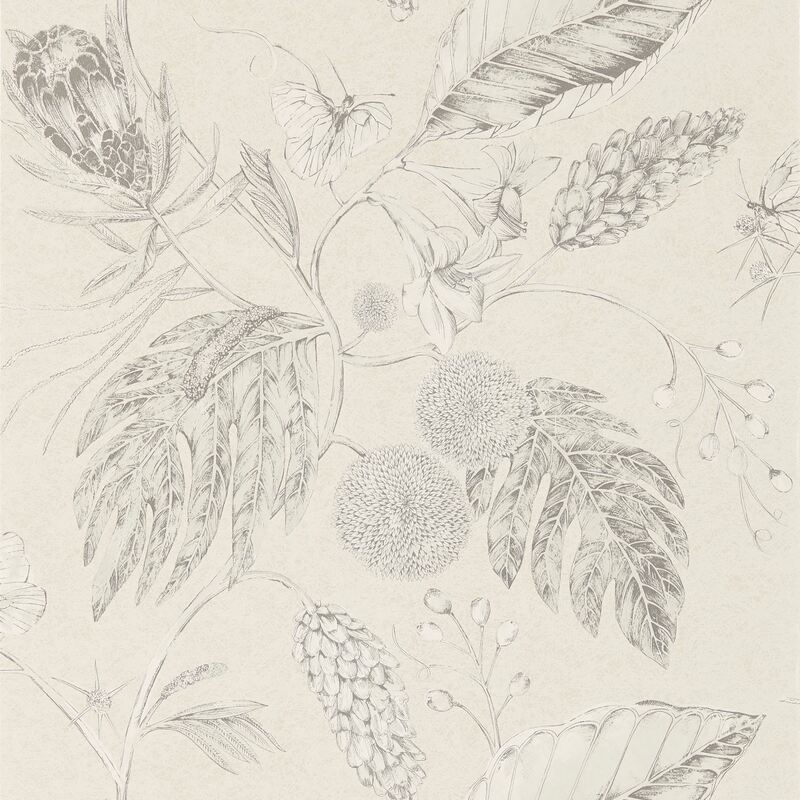 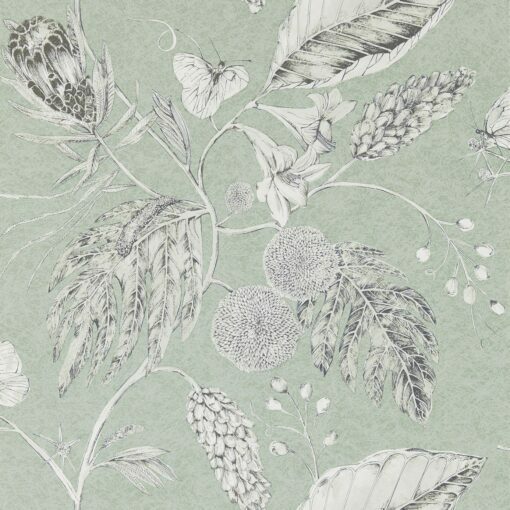 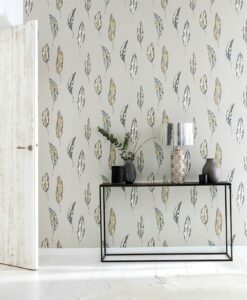 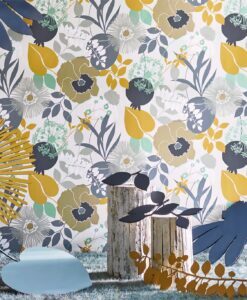 Amborella Wallpaper from Palmetto Wallpapers by Harlequin features a vintage botanical design with delicate butterflies, etched pinecones and exotic pom-pom head flowers set against a range of metallic, textured effect grounds. 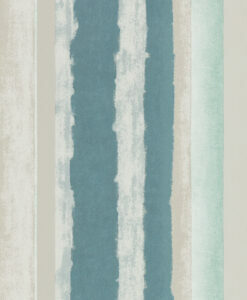 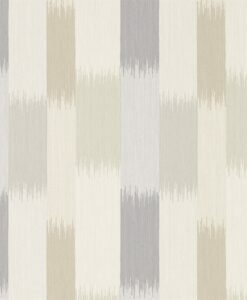 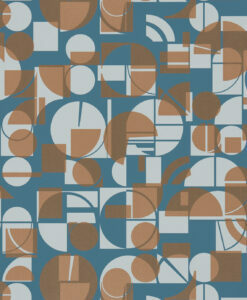 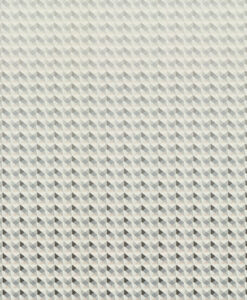 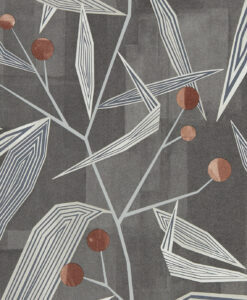 Available in five gentle colourways. 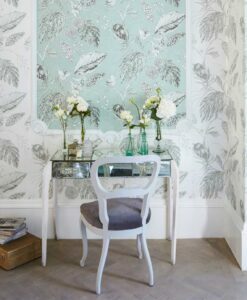 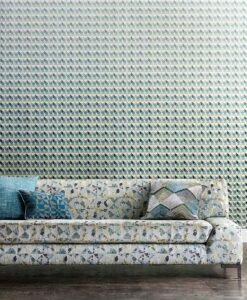 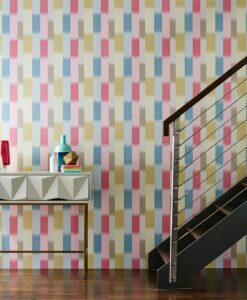 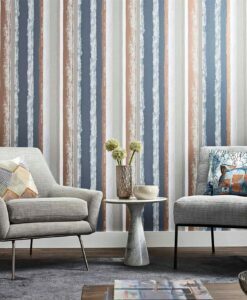 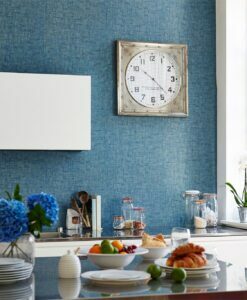 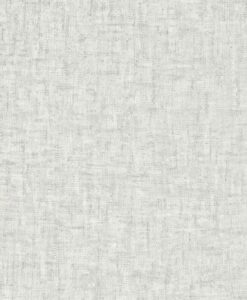 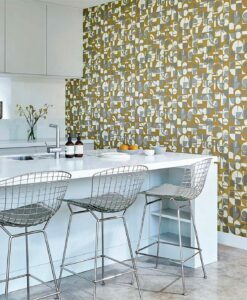 Here’s what you need to know to work out how much Amborella wallpaper you need to decorate your home.